Golf cart batteries are rechargeable. However, these are also subject to wear out in the long run. There are signs of bad golf batteries which tells you it is time to replace it with a new one. At times, you can prolong the life of your batteries depending on how long you have used it and if you have used it correctly. There are so many things that can extend or shorten the lifespan of a cart battery. However, it will be helpful if you know how to determine the signs that it already needs replacement. What are the signs of bad golf cart batteries? Well, even car batteries show off some signs and symptoms that it already calls for a replacement. Golf cart batteries are no exemptions. There is only a slight difference, but generally, both car and cart batteries show the same symptoms and warning signs. Let’s get off to the bottom of it, and we will unlock the warning signs that your golf cart needs a new battery. These signs will tell you that your cart battery is slowly dying and you need to buy the replacement soon before it stopped working. Observe these signs, and it will surely tell you that it is time to buy for a new one. If the battery already takes a longer time to charge than when you first used it, it is a sign that it needs replacement. The older the battery gets, the longer it also takes to hold its charge. Therefore, it takes longer for older batteries to charge than new ones. Just when you think you have fully charged your cart and after you run for about 5 minutes, the charge is out again, it’s a quick sign your battery is already failing. When you noticed that your cart is slowing down, it’s another warning sign that your battery is nearing failure. Electrically run golf carts are known for its speed and acceleration so when you suddenly felt a slower motion it is a clear sign to change battery soon. A bulge and leak are strong signals that the batteries are slowly dying. These are the positive worn out signs for cells. A leaking acid battery is already a strong sign that you need a new one soon. If all the test failed, this is the only sure way to determine a bad battery. If you test the voltage and it falls under 50, then it is already worn out. Testing should be done right after exhausting the battery. With the use of a voltmeter, you can quickly check on this one. So take a look at these warning signs and see if it is already showing on your golf cart batteries. If you have more of these signs showing, then don’t hesitate to replace the batteries at once. If you think golf cart batteries are cheaper than car batteries, then you got it wrong. Golf cart and car batteries are typically the same in price and maintenance. They only differ in specifications and voltage but generally speaking, they are similar to one another. 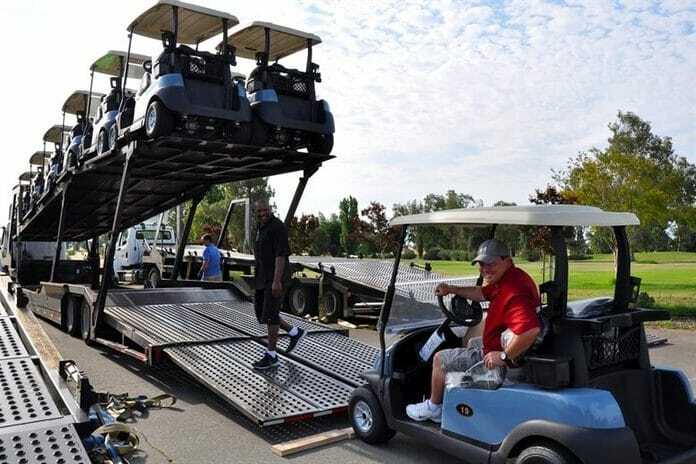 Most golf carts are run electronically. 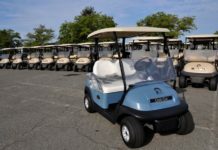 Since they are electrically powered, the more you need to know more about the proper charging procedure for golf carts. These appropriate charging processes will help prolong your battery life. How will I check if I already have a terrible golf cart batteries? 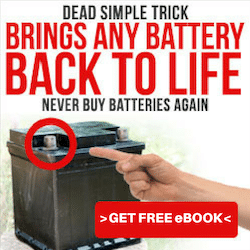 Still unsure whether you got a bad battery or not? Well, you need to perform the following diagnosis to check if indeed your battery is failing. These simple steps will guide you on how to conduct your own maintenance check for your golf cart batteries. Knowing it yourself can prevent emergency stops and can save you tons of money for installation and consultation. Charge your cart. Yes, you heard it right. You need to charge your golf carts. You may use either an auto plug charger or the manual one. When the golf cart is already on a full charge, it is time for the voltmeter test. Set the voltmeter to 220V dc. You have to check the individual battery for each reading. To have a good battery reading, it should register at least 7. OV. Per cell. This reading is suitable only for a 6V battery. For batteries which are 8V and above, it should not go down an interpretation of 9.3.ov. 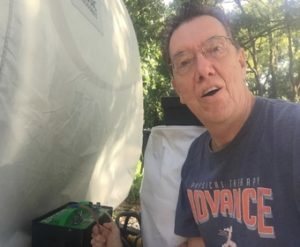 In a hydrometer test, you do not need to charge your golf carts. But you do need your gloves and safety glasses on. Remove all battery caps. Get the first battery as your sample, then get your hydrometer to test the cells. Write down your readings for each battery until the last one. Each reading must register at 1100 to 1300 with 1100 as close to water and 1300 almost reaching the acid level. Begin with the first battery and record the difference. If there is a difference of at least 50 points, then it is a sign of a bad battery. The best readings for a good battery condition should be 1265,1275,1265 and so on. Can I Replace One Golf Cart Batteries? For a 36V battery, there are six 6V batteries. So if only one is defective can we change that one faulty battery instead of all? We often received this question by many golf cart owners. The answer to that question depends on how old the batteries are. If it is only a year or two, you can surely replace one or two cells. But if the batteries are old enough, replacing it with just one will not improve the performance. What Is The Average Life Expectancy Of A Golf Cart Battery? Electricity helps power the golf cart, and with this concept, you need to charge your batteries to avoid depleting the power. The life expectancy of the battery depends on how well you manage and treat it. No amount of good battery will ever last if it is neglected and forgotten. 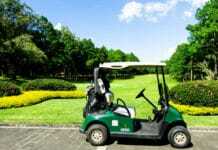 Usually, a golf cart battery lasts for at least seven years with proper care and maintenance. As long as you maintain your golf cart batteries gl, it will function well even if you use it more often. Some circumstances often lead to early wearing out of batteries. Some golf cart owners are not aware of these bad habits that often cause a failing battery. If you are storing your golf carts in the garage for an extended period, it can add to the weakening of your batteries. If you store your golf carts and not use it for a long time, you are not saving the battery up. Making this bad habit will all the more cause it to have a shorter life span. It can be the worst case scenario if the garage is too hot and humid, it will damage the battery even more. If you are away for a more extended period, make sure that you have someone to maintain your golf carts. Allowing it to run even for a short trip daily is enough to ensure that batteries are working well. Proper charging is needed for good battery maintenance. To do this, you need to charge the unit in full. The short load is enough to shorten the lifespan of your batteries.  The battery’s water level should be checked continuously. If the water level falls below normal, try to add up a distilled water. Do not use tap water in refilling your batteries as it may affect the performance due to the mineral content of the water. 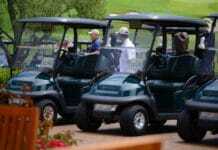 Some golf cart units are left without charging for several weeks. Batteries may lose their charge gradually which could lead to a frozen cell. When the cells become frozen, you have to replace it right away. During the winter season where you will not be able to use your golf carts, you need to charge your batteries before storing it. However, to make sure that you will not lose any charge, you have to disconnect it from any circuit connection that could use up the load. Clean the batteries and remove it from the battery case. Golf cart batteries are not cheap. Some battery packs like the sealed one and around 72V may cost you about $2000 while the typical lead-acid pack is something around $900 to $ 1500. The price alone of a battery pack for a golf cart is costly. Imagine replacing these twice or thrice a year that would already mean $6000. Golf cart batteries should all be treated with proper care and maintenance. In the first place, there is no affordable battery for a golf cart. Knowing the signs of bad golf cart batteries will save you tons of money. I would rather read on and acquire gainful knowledge about golf cart batteries, rather than spending too much on something which will never be useful to you.